At Quady, we are innovators, but we are also loyalists to our Quady history and traditions. That very human dichotomy led to some passionate ideas about the future of our labels. The Quady marketing team, led by Sales & Marketing Director, Jim Fricke and Marketing Manager, Colin Hough, saw an opportunity for us in the marketplace… The result is a set of updated, complementary labels that we believe will help retailers and consumers alike recognize that, albeit their different styles, our four most popular Muscats and Moscatos all stem from the same innovative and high-quality family of wines. In other words, they look fantastic on the shelf together. 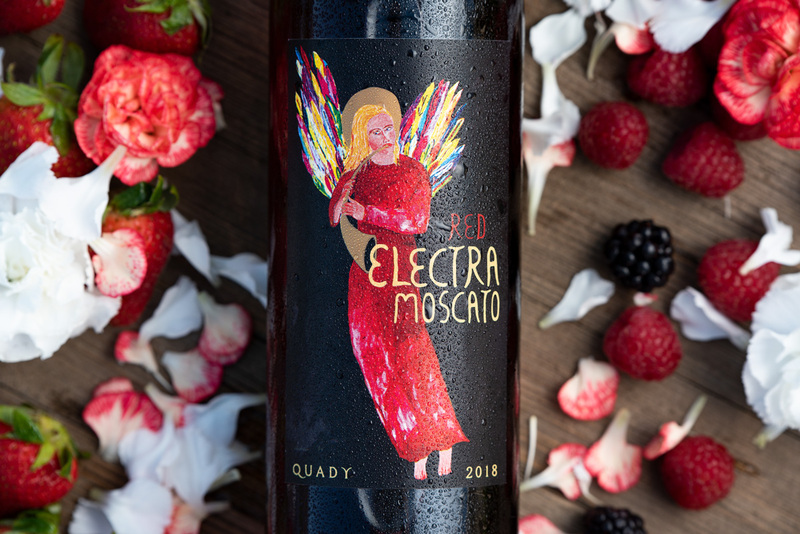 If you caught part 1 of this blog series, you saw how we’ve changed the packaging for our Electra Moscato wine from the original design to an updated version for the 2018 vintage and beyond. 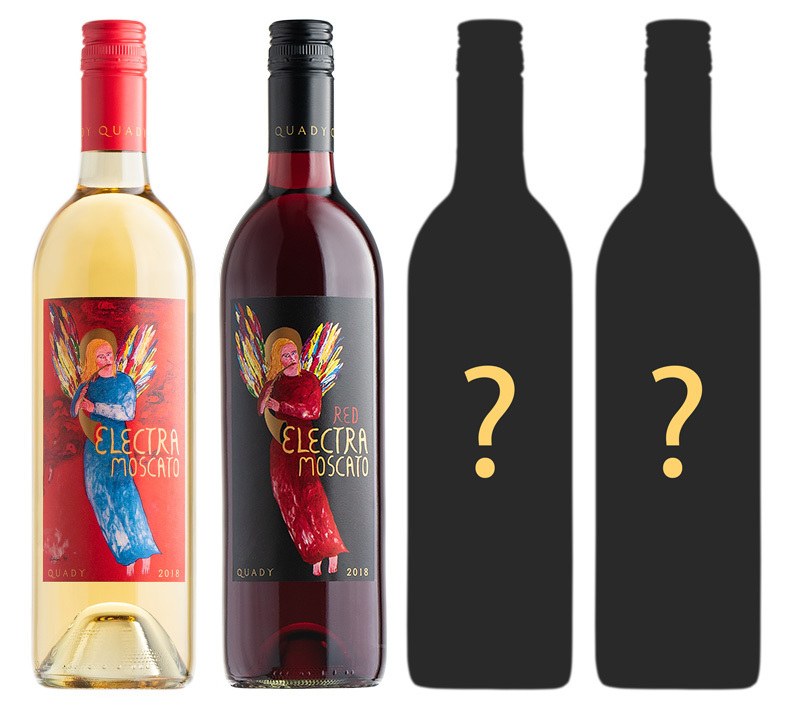 For part 2, we’re looking at Electra’s sister, Red Electra Moscato for the same treatment! 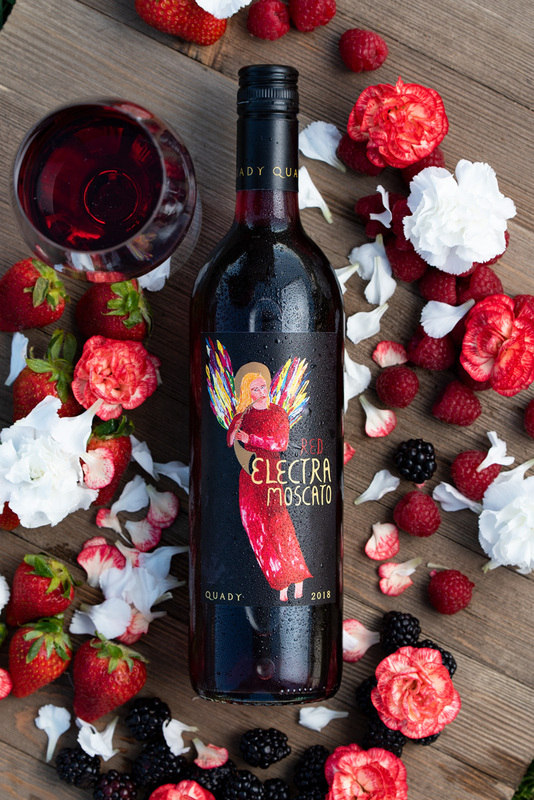 For Red Electra, like the redesign for Electra Moscato, we wanted to further emphasize the captivating artwork that Ardison Phillips first created decades ago. We cleaned up some of the elements around the art piece itself, which allowed us to increase the actual size of the painting as it’s seen on the bottle. 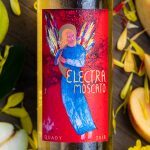 We also wanted to tie in the wine type (Moscato) better with the original artwork, so we carefully painted in the word Moscato to match the painting of “Electra”. This new label now pays respect to the Quady brand in a clean manner; done so carefully as to not detract from the center piece─the art. To tie it all together, the capsule has been redesigned as well. It now plays into the label design inconspicuously and showcases the Quady brand around the neck of the bottle. When it’s all brought together, the angel’s red dress floating against the all black, night time skyscape delivers an impactful and exciting presence we’re all eager to share with the world! What do you think of the change? We hope you love it as much as we do! Be sure to stay tuned for the unveil of our Essensia Orange Muscat and Elysium Black Muscat, and look for them sitting pretty on the shelves of your favorite local store soon. To catch the full story on our updated designs, check out part 1 HERE. If you have any questions or comments regarding the changes─let us know! Contact us HERE. Is there any plans on bringing back the wine called Purple? Hi Karen! For the time being, unfortunately no. Our winemakers have been exploring our options in making Purple available again, but it’s still undetermined. Sorry!